The Mississippi Gulf Resort Classic Champions Tour will be held from March 27th through April 2nd, 2017. 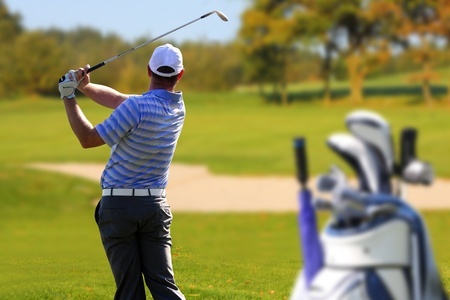 This annual event showcases some of the best in the golf world and provides spectators with a wonderful way to get outdoors and enjoy the beautiful spring weather. The event is being held at the Fallen Oak Golf Course and the tournament will go on throughout each day. The Fallen Oak Golf Course in Biloxi has a beautiful rolling landscape and runs adjacent to the DeSoto National Forest. This course is designed with a sub-air drainage system that heats and vacuums the greens to keep them lush and healthy. The course was named the number one golf course to play in the state of Mississippi and the number two of the top 50 casino courses in the United States. Fallen Oak Golf Course also has 12,000 square foot clubhouse designed in the Acadian style with a 1,000 square foot pro shop. This tournament will include some of the biggest names in golf vying for the tile of Mississippi Gulf Resort Classic Champion. Some of the expected players include: Kevin Sutherland, Rocco Mediate, Scott Dunlap, Loren Roberts, and many others. On Thursday the C Spire Pro-Am will be held with tee times beginning at 10:00 AM. Friday will include the first round starting at around 10:00 AM. Saturday will be the second round with tee times at around 9:00. The final round is Sunday with first tee times at 9:00 AM. Bleacher seating is available on the first tee and at the 18th hole. For those who wish to take photos, it's important to note that cameras for general spectators are only permitted on Thursday during the Pro-Am. Concessions will be served on holes 4, 9, 10, and 12, and will include a variety of food and drink items. There will be souvenirs and tournament merchandise available for purchase at the main entrance. The items available include hats, t-shirts, jackets, golf balls, and more. Public parking is available nearby for $5 and a shuttle is provided to take spectators to the course. The tickets for the event can be purchased from the Mississippi Gulf Resort Classic website. A one day ticket is $15 and children 15 and under get in free with a paying adult. Those who wish to attend more than one of the tournament days can purchase a 4-pack that has 4 tickets that can be used for any of the days, Thursday through Sunday. Those who wish to enjoy the event from the indoors can purchase a ticket package at the Oyster Lounge, located on the 9th hole of Fallen Oak Golf Course. This package in the hospitality space includes food and beverage with access to the premium bar. The price for the Oyster Lounge ticket, which is available for Friday, Saturday and Sunday, is $250 per person. If you will be attending the tournament and need accommodations our staff here at Margaritaville will be happy to help you. We offer a wide variety of rooms, & suites.